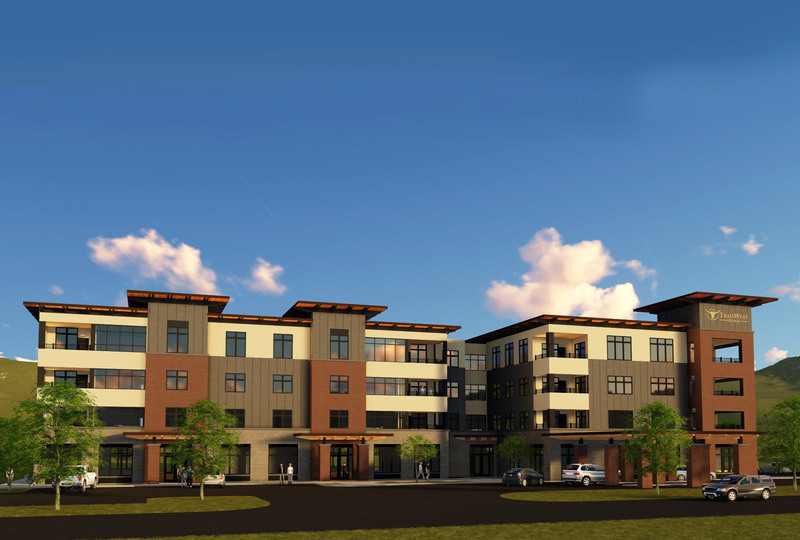 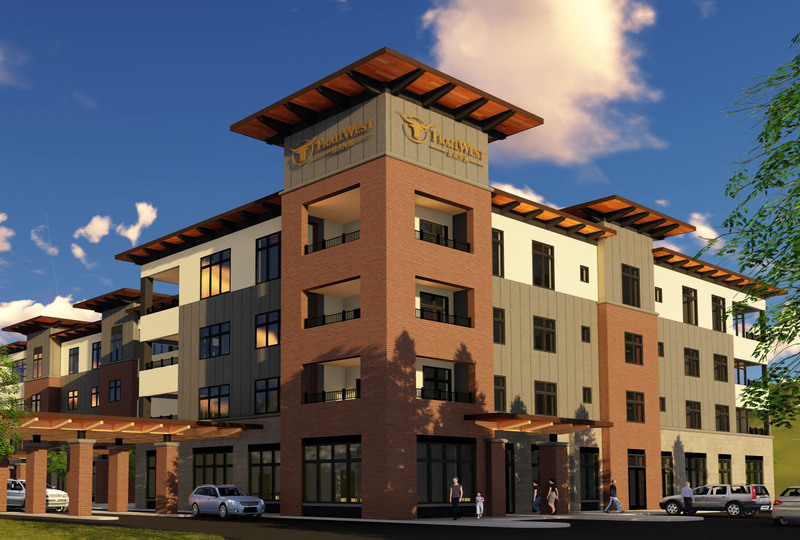 Located in Missoula’s Reserve Street commercial district, this four story mixed-use building will include a bank and commercial lease space on the ground floor with three stories of residential condominiums above. 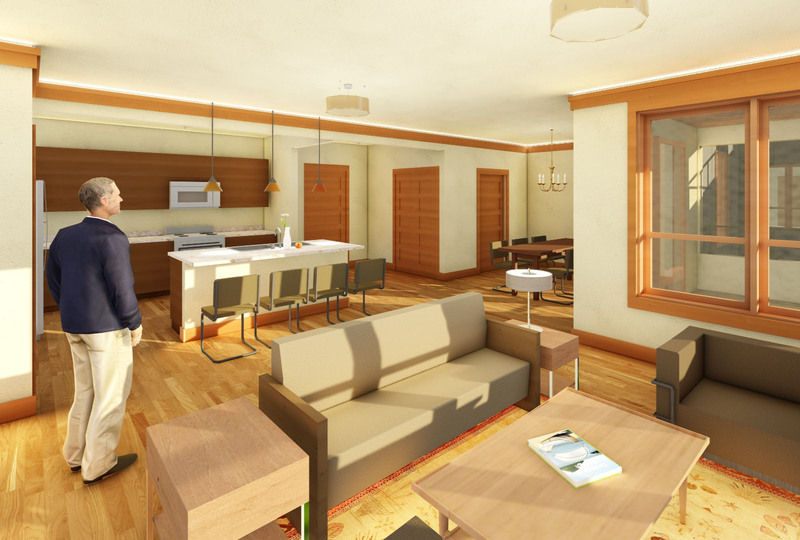 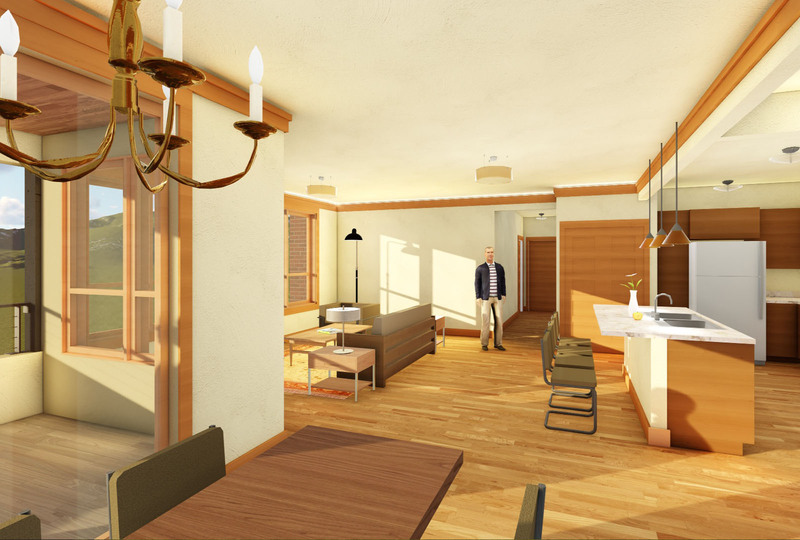 The spacious condominiums feature unobstructed views of the surrounding mountains and golf course. 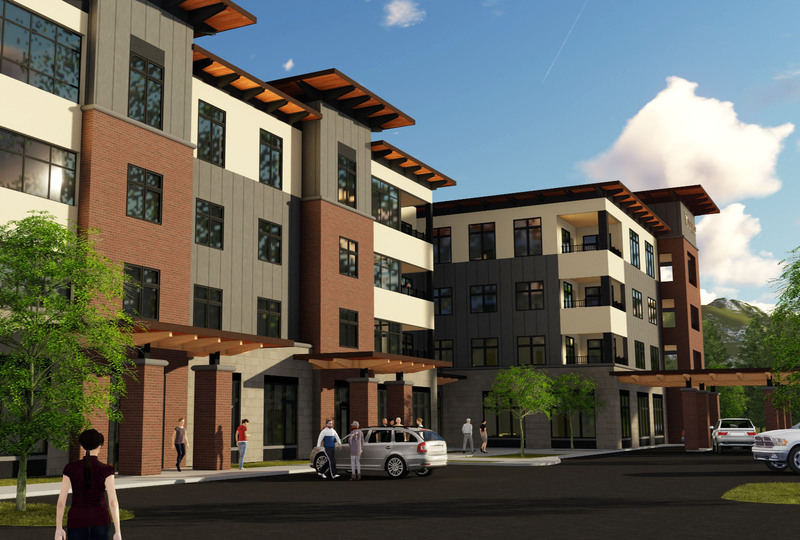 Underground parking and a park-like community backyard is provided for the residents.